The Shard Shop is hosting pop-up shop, ShardWorx Salvage+Craft, for a Mega SHARD SALE! Over 10,000 pounds of unique vintage glass pieces will be available, including Mary Hong’s secret shard stash! Glass enthusiasts will find sliced bottles, shards by the pound, ceramic pieces, mosaic supplies and FREE shards! 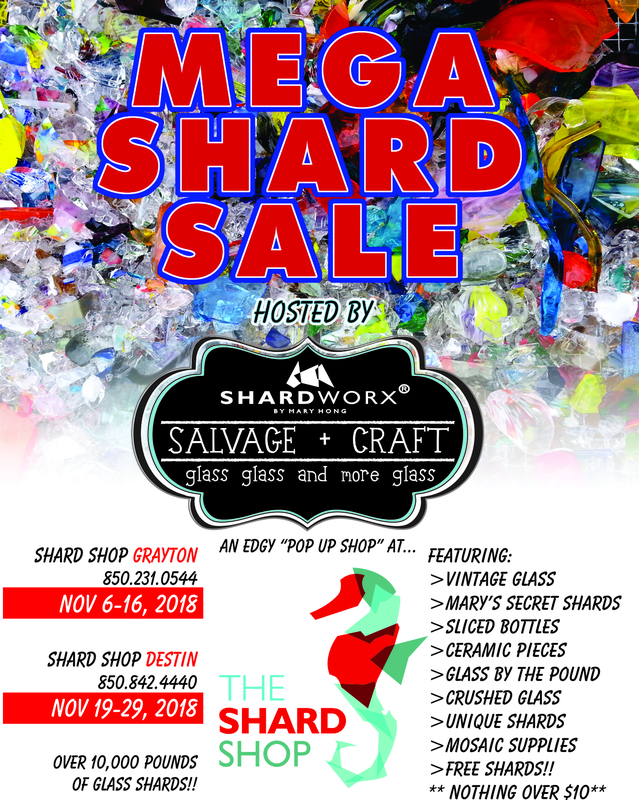 Nov 6-16 at Grayton Shard Shop and Nov 19-29 at Destin Shard Shop.